The Southern Ocean (SO) is a hugely important ecosystem for global climate, CO2 drawdown and ocean circulation but is vastly undersampled and poorly understood due to its remoteness and the often treacherous conditions. Phytoplankton are the link between atmospheric and oceanic processes in the SO and the drivers of the biological pump. Their ability to absorb and scatter light make them ideal to study using bio-optical tools and monitored using satellite ocean colour radiometry (OCR), but the bio-optical properties of phytoplankton in Southern are not well characterised. The DP160103387 project will integrate bio-optical measurements from multiple autonomous platforms to characterize bio-optical relationships of the SO, linking inherent optical properties (IOPs) and apparent optical properties (AOPs) to biogeochemical quantities e.g. chlorophyll-a and particulate organic carbon (POC). With the participation of project partners such as SOCCOM, SOCLIM and RemOcean we will use biogeochemical Argo (Bio-Argo) floats and specialized OCR validation floats (PROVAL) to study these relationships across vast spatial and temporal scales to untangle bio-optical relationship uncertainties and identify drivers of satellite algorithm anomalies. 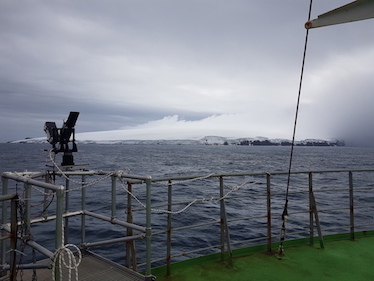 Incorporated into this study will be the unprecedented IOP, AOP and biogeochemical SO dataset from the 3 month Antarctic Circumpolar Expedition (ACE). Our improved understanding of bio-optics in the SO will be applied to satellite ocean colour observations to study the seasonal, inter-annual and decadal changes in SO phytoplankton.